Mary’s career has encompassed a wide range of roles, including that of performer, teacher, coach and most recently broadcaster and writer. 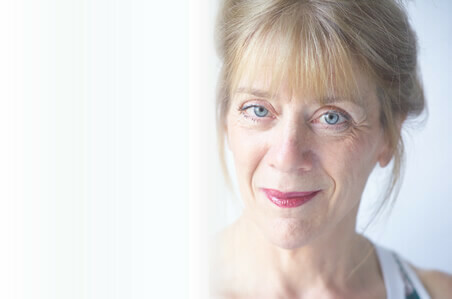 A popular and highly experienced mezzo soprano, Mary has worked with leading conductors and numerous orchestras across the world, and has made a particular feature of the contemporary classical repertoire. She has had a long involvement with outreach and teaching, working with all the major companies in the UK as well as running training programmes both at home and abroad. During Mary’s long association with English National Opera, she devised and ran a highly successful performance skills course, ‘The Knack’, for eleven years, and between 2004 and 2006 she was also an Artistic Associate for the company. From 2006 to 2013 Mary was Head of Singing at Millennium Performing Arts and between 2007 and 2013 she created and led Voicelab, an initiative at London’s Southbank Centre which embraced everything from casting professional projects, to creating and training numerous choirs and small ensembles. She is currently Talent Consultant at Glyndebourne and works as a vocal coach for a number of West End shows. She also offers 1-1 vocal teaching for professional singers. Mary is increasingly widely known through her work on television and radio. She was one of the driving forces behind Channel 4’s award-winning Operatunity, and on Musicality, also on Channel 4. She has appeared on BBC TV as the expert analyst for the Cardiff Singer of the World competitions since 2003 and is a regular presenter on BBC Radio 3. Since 2006 she has been one of the judges on the National Choir of the Year competition. Mary is also in demand as a writer. In 2007 The Singer’s Handbook (Faber) was published, co-written with Anthony Legge. This has been followed by a series of selected vocal repertoire collections with coaching notes, The Boosey Voice Coach (Boosey & Hawkes). Mary is an Honorary Associate of the Royal Academy of Music, an Honorary Fellow of Rose Bruford College and a Fellow of the Northern College of Music.